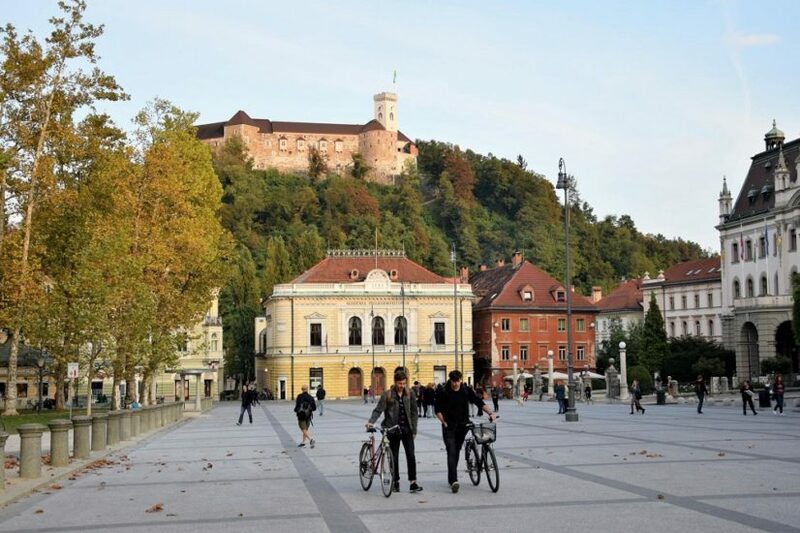 City destination Ljubljana: Looking for eco-friendly hotels, tours, activities and restaurants in the capital of Slovenia? Here our recommendations for green accommodation, tours and healthy restaurants in Ljubljana. 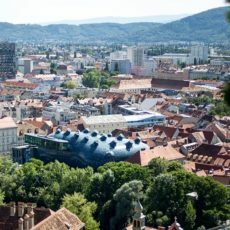 It has been more than 10 years since the new mayor of Ljubljana started implementing a plan for sustainable urban development, known as Vision 2025, to improve the quality of life in the capital city. 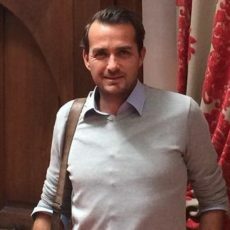 His contentious decision to ban cars from the centre is one of the reasons the city received the title of European Green Capital 2016. This vision is supported by the national sustainability plan of “Green. Active. Healthy” Slovenia, and behind this “green” marketing an actual change is happening. Apart from the car-free city centre, there is free drinkable tap water all around the country, and locals who are keen on outdoor activities, and supportive of eco-friendly and socially responsible businesses. It is the first hotel in Slovenia that achieved the prestigious Travelife Gold certification for its commitment to sustainable development, including charity activities. Every year the hotel management raises funds for different projects which benefit the neighbourhood. Going beyond a simple hotel concept, Hotel Park has created a community space for guests and offers green lifestyle experiences, like „urban&green“ events, where guests meet local suppliers. And there’s a herbal garden on the roof top, where guests can participate in planting vegetables and spices. 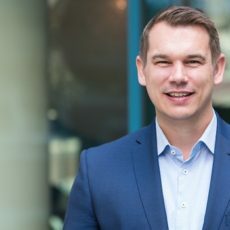 More about sustainability at Hotel Park in the interview with Urša Malovrh by the Sustainability Leaders Project. Once a prison, today one of the most intriguing hostels in the world. A safe haven for travelers, artists and all high-spirited people. The prisoners were replaced by the artists for a decade, who breathed in new life and opened the place to fresh ways of expression. Hostel Celica’s sustainability policy is visually presented to guests and employees throughout the property, following the theme of THINK. ACT. SHARE. Ljubljana’s electric-powered vehicles referred to as Kavalirs (Gentle Helpers) are a free, environmentally friendly public transport option in the city centre. Mainly intended for the transport of the elderly, mobility-impaired people, and visitors, Kavalirs run around the pedestrianized historical area at a speed slow enough to allow you to hop on or off anywhere on the street. Telephone ordering is also an option. The Kavalir fleet currently consists of four vehicles, two of them open-sided and two glazed and heated in winter. Friendly Kavalir drivers will take you anywhere within the city centre pedestrian zone. 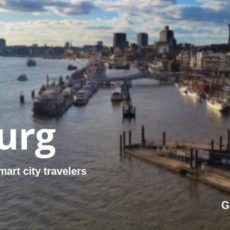 Focusing less on landmarks and more on people of the city and their stories, passionate tour guides from CurioCity help visitors to explore the city like a local. The tour “From Ljubljana with Love” is a showcase of a growing number of social businesses in the Slovenian capital. The tour starts with a coffee tasting at a little café which sells locally-roasted organic coffee. You will pass by a market with things handmade from recycled materials and the first Fairtrade shop in Slovenia “3MUHE” – a perfect opportunity to buy authentic, cool gifts instead of boring mass-market souvenirs. The final stop of this tour is a restaurant. Besides serving delicious Slovenian cuisine, they employ people with disadvantages, providing them with training and an opportunity for employment in the catering industry. This is a tour to immerse yourself in local culture and get inspired by change makers who love and care about the place they live in. An overview of vegan and vegetarian restaurants and cafés in Ljubljana here. For the latest weather forecast for Ljubljana, check for example weather.com. For all sorts of useful information about Ljubljana as travel destination, check out wikitravel.org. Still need travel insurance for your upcoming trip to Ljubljana? Here’s why World Nomads is our favorite travel insurance for city trips. Like our recommendations of eco-friendly hotels, tours and activities in Ljubljana, capital of Slovenia? Spread the word!